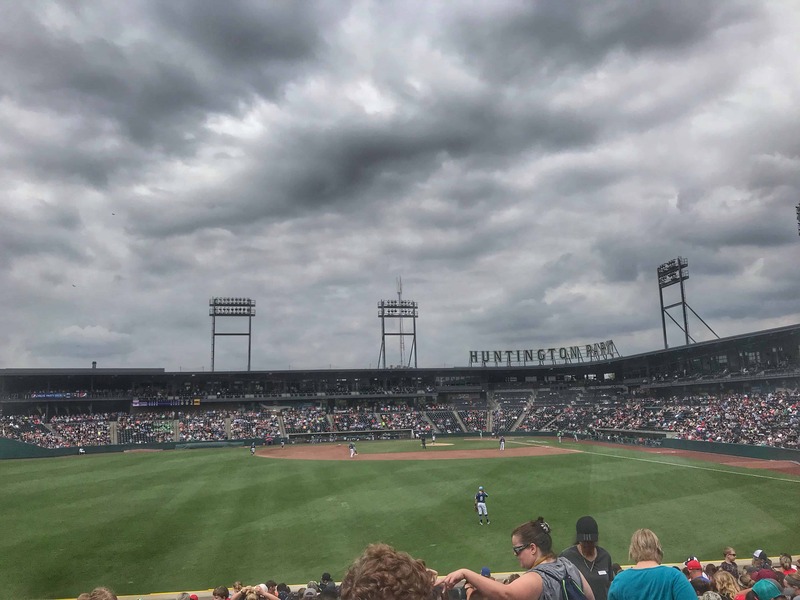 Visit Huntington Park for a Columbus Clippers Game! 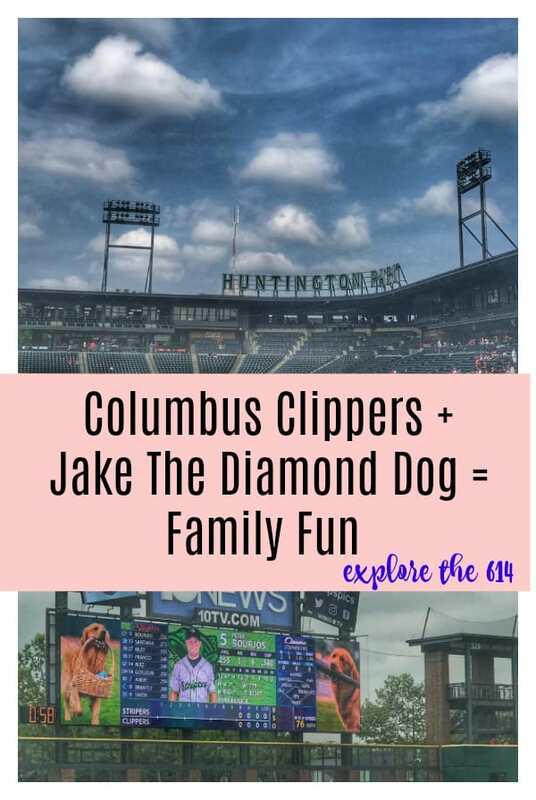 Catching a Columbus Clippers game can bring some excitement to your day! Take me out to the ball game for some entertainment, snacks and memory making! Such fun in the 614! We are so excited to be featuring more local things from our 614 area code! We love Ohio and we love Columbus! 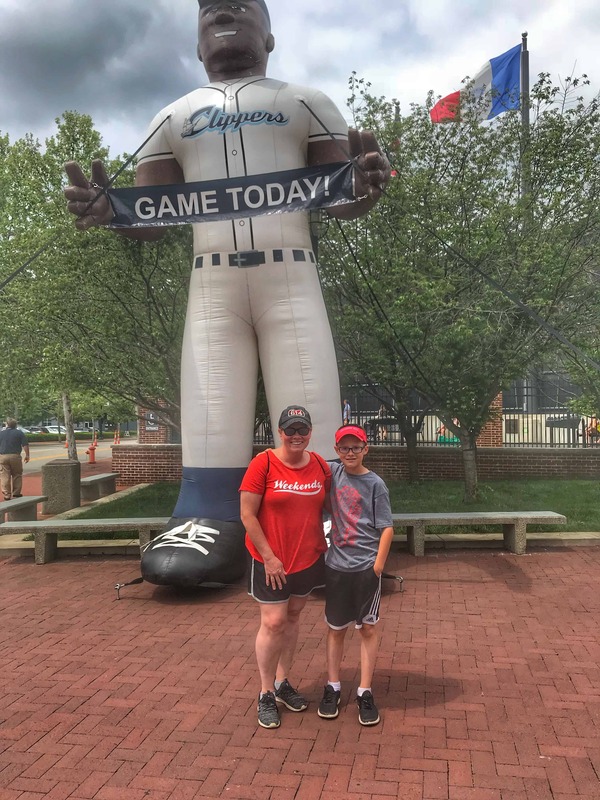 Recently, we took a trip to see the Columbus Clippers play! Who are the Columbus Clippers? Did you know that Columbus has a baseball team? This team is a Triple-A affiliate of the Cleveland Indians. The team is a Minor League Team that is based right here in Columbus, Ohio. The team plays in the International League. Where do the Columbus Clippers play? The Columbus Clippers used to play at Cooper Stadium. I went to a game there one time! It was long ago! I was excited to see their newer stadium called Huntington Park! The ballparks attendance record was set in 2010 when 12.5K people attended. There are 10.1K seats but there is plenty of standing room and plenty of lawn area available. 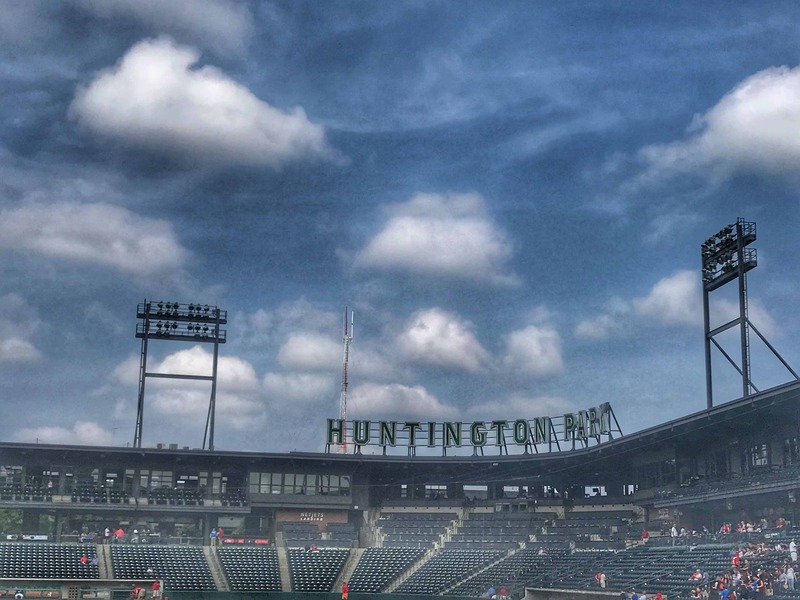 Huntington Park is a beautiful and up-to-date facility. They offer a large range of seating and standing options as well as food and beverage options. It is said that over 620K fans go through the gates each year. Who is Jake the Diamond Dog? I would have to say that this well-behaved golden retriever, Jake the Diamond Dog, was my favorite part of my visit to Huntington Park. I didn’t even know that this cute pup existed before my visit. Sorry, baseball fans, I am such a newbie! So who exactly is this Jake The Diamond Dog? Well this dog has some pretty amazing responsibilities besides being adorable! Jake the Diamond Dog delivers the game ball to the pitcher. Jake the Diamond Dog loves shagging foul balls! Jake the Diamond Dog is great at taking water and towels to the umps of the game! Jake the Diamond Dog even has his own facebook page! You can learn more about his adventures and follow along with him there! We enjoyed our visit to the Columbus Clippers game, be sure to grab a ticket and check out a game soon! Let’s talk! 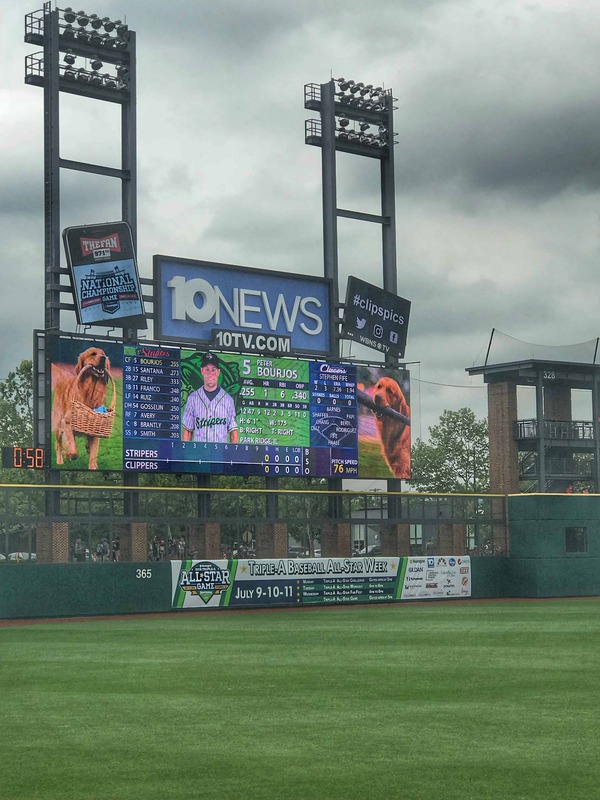 Drop me a comment below and let me know if you’ve seen the Columbus Clippers play! Do you have any secret tips for enjoying the game? Have you seen Jake the Diamond Dog?